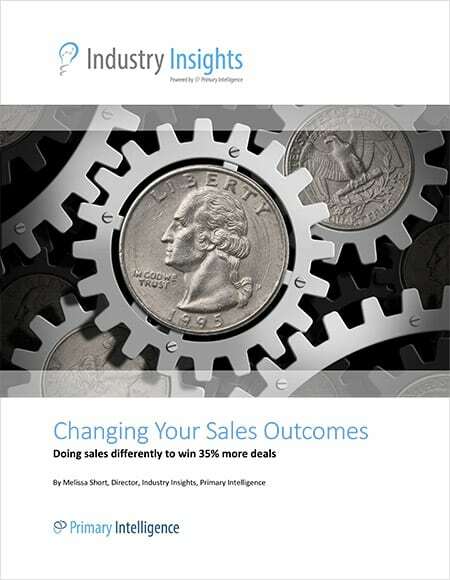 The VP of product marketing for a prominent software technology company faced challenges with his Win Loss program when he struggled to secure targeted win loss sales opportunities using an internal outreach program. With an overloaded sales team and time constraints, he couldn’t obtain the crucial win loss insights the company desired. 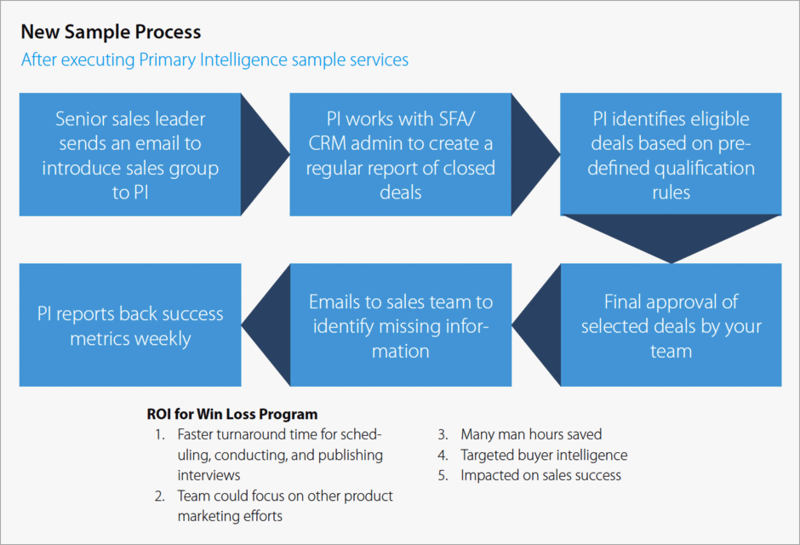 After implementing Primary Intelligence’s sample services, he noticed faster turnaround time for scheduling, conducting, and publishing interviews, which saved many man hours, collected targeted buyer intelligence, and improved their sales process. The software technology company was looking for a focused, expert-led Win Loss Analysis program to give them a deeper level of understanding on competitive opportunities and learn strengths and weaknesses. They selected Primary Intelligence to manage the Win Loss program, but decided to continue to gather sample using in-house resources. The company’s VP of product marketing shared that for the in-house sample program, they selected designated areas to research, reviewed targeted opportunities, worked with account managers to get contacts, and started an internal outreach program to set up interviews. Getting over the hurdles it takes to support an in-house win loss program proved challenging for the software company, especially managing the sample that will secure valuable customer interviews. They weren’t getting the right set of sales opportunities in the company’s targeted regions. Plus, some bias seeped into the selection process, possibly contaminating the results. At this point, he realized Primary Intelligence’s 360-approach to sample management would be an asset to the company. Primary Intelligence’s sample services provided him with a dedicated team to examine the win loss opportunities using pre-determined qualification rules. Once the company transitioned to sample services, the VP said it provided a consistent approach to acquiring actionable win loss information. Since engaging the Primary Intelligence sample services team, the company has a non-biased approach to getting interviews, consistent engagement with the sales teams, and time to focus on other pertinent product marketing efforts. He stated, “The number of interviews scheduled went up tremendously. We’re hitting our marks much faster than when we were engaged in the process. The sales teams got involved as well. They liked that the Primary Intelligence team was engaging directly with them.